Skye Gravestones | Iain & Elizabeth (Herd) MacInnes. Iain & Elizabeth (Herd) MacInnes. 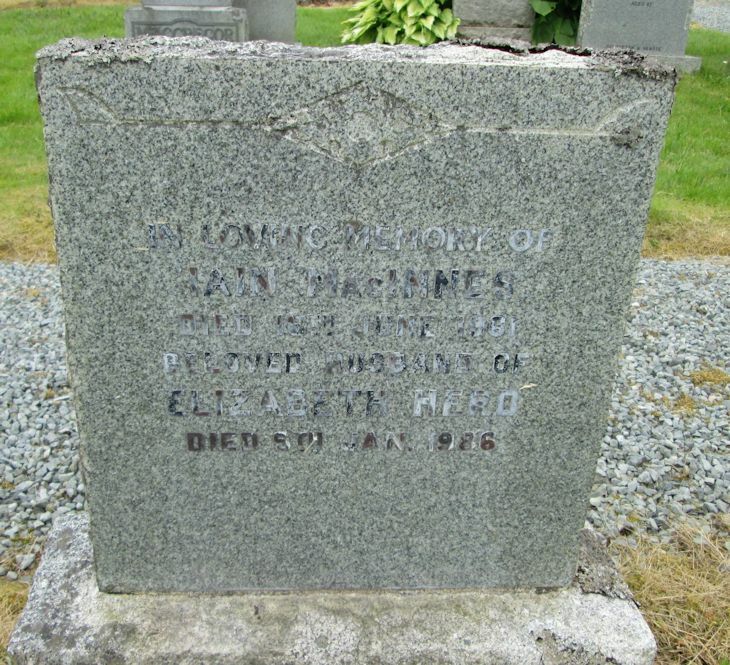 In loving memory of/IAIN MacINNES/died 18th June 1961/beloved husband of/ELIZABETH HERD/died 5th Jan. 1986. Picture Added on 07 August 2014.